Are you new to French cuisine? Does the language intimidate you and make the recipes seem out of reach? Let's take the mystery out of French cooking and learn how to make a few classic dishes. French cooking is filled with flavor and there are a few basic recipes that every beginner should know. Many of those fancy restaurant recipes are simply variations on these and as you become more comfortable with crepes, tarts, and bisques, you'll discover just how easy they are. French cuisine features many delicious appetizers, from simple to complex. A tart is an ideal recipe to start with as it feeds the whole group and you only have to slice it to serve. 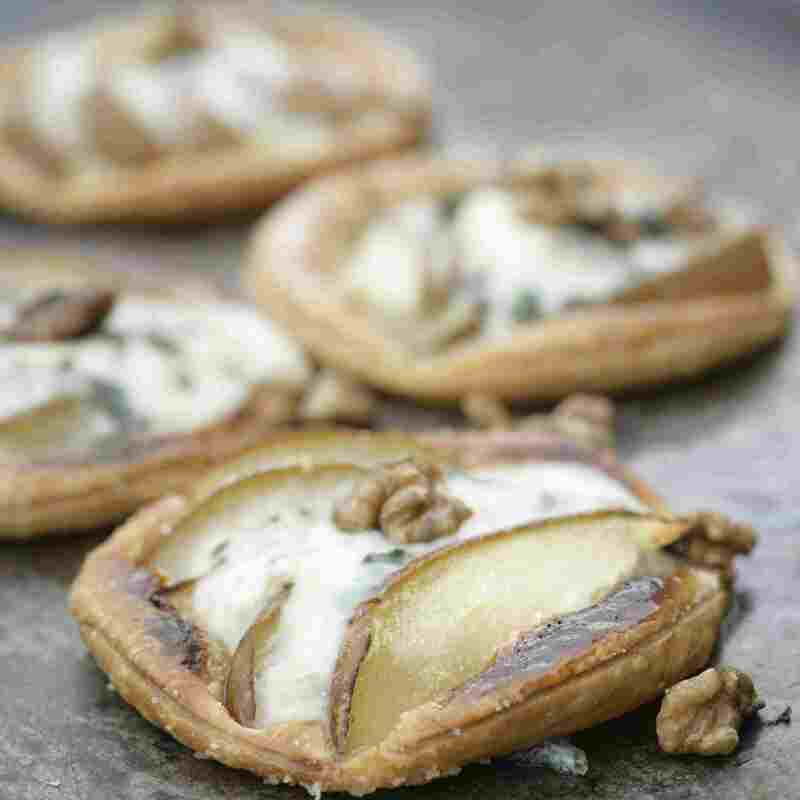 This amazing recipe for a Roquefort cheese and caramelized onion tart is a classic, and the taste is unbelievable. Just be sure that you use the tangy Roquefort cheese—one that is distinctly French—as it is essential and gives the tart its signature French flavor. When it's time to choose a traditional French salad, few can beat the classic taste of Nicoise. This delightfully composed recipe is a bistro favorite, complete with tuna, potatoes, egg, olives, and green beans. The other essential ingredient is anchovies. If you're not a fan, don't worry—this recipe hides the little fish in the sauce so you get the taste on the sly. French chefs are masters at creating fantastic soups that have become icons on dinner tables worldwide. A well-known favorite is the traditional lobster bisque. This seafood recipe is the epitome of a creamy-style soup, and it can easily become the centerpiece of a light meal. The fresh lobster meat is surrounded by a rich broth tinged with Cognac, giving the bisque a complex and sophisticated taste. It started as a poor man's dish, yet ratatouille has found its way into French restaurants and dinner tables of every caliber. It is, essentially, a vegetable stew, highlighting eggplant, that sits on the stove to cook down until tender. It's incredibly easy and cheap to make, so if you're on a budget but need to impress, this is the recipe for you. Just the name souffle can spark fear in the hearts of any chef. They're notoriously tricky to make but if you can make a great souffle, you're a star. Yet, they're really not out of reach for the home cook. To start your French culinary souffle experience, begin with this spinach souffle recipe. It will take the mystery out of the dish and it's surprisingly easy. The trick is to beat and mix the eggs carefully, as overdoing them will ruin the final result. Many traditional French recipes began out of necessity, as a way to make cheap foods taste great. Such is the case for this classic chicken dish, which is both hearty and amazing. Coq au Vin means "rooster in wine" and it was devised as a way to cook the tough meat of the bird. It is a country-style dish now made with chicken that is filled with vegetables. It does require a few steps and many hours of unattended cooking time, but the techniques aren't that difficult and the end result is worth the effort. This casserole may soon become a new family favorite! We cannot discuss French cuisine without mentioning the combination of shallots, wine, cream, butter, and cognac. These ingredients come together in this delightful main dish that's easy to cook up. The name of this Cognac shrimp recipe makes it sound fancier and perhaps more difficult than it is in reality—a beurre blanc is simply a butter and wine sauce. You'll be delighted when you see how short and common the ingredient list is. It's possible you have everything you need already in your kitchen. What would French cuisine be without crepes? Essentially, a crepe is a thin pancake that can be filled with whatever you like. Crepes are everywhere in France and can be sweet or savory, acting as main dishes, sides, or desserts. Your French cooking lessons will not be complete until you learn the beauty of making crepes. Mastering the technique of tilting the pan to spread the batter evenly can be a bit tricky, but it just takes practice. It's so simple, with just five ingredients, yet it remains a mystery to many home cooks. Basically a custard with whipped cream folded in, chocolate mousse is one of the icons of the French dessert table—and you'd be surprised at just how easy it is to make this romantic dessert. Sables are a classic cookie in France, and since you can add a variety of flavors to it, it's a great foundation to start with. This vanilla sables recipe can be eaten as is or can be used to create sandwich cookies filled with a cream, or spice cookies when seasonings are added.